This heat just isn’t budging is it?! It makes it almost impossible to wear makeup, because as soon as you put it on, its slipping off. 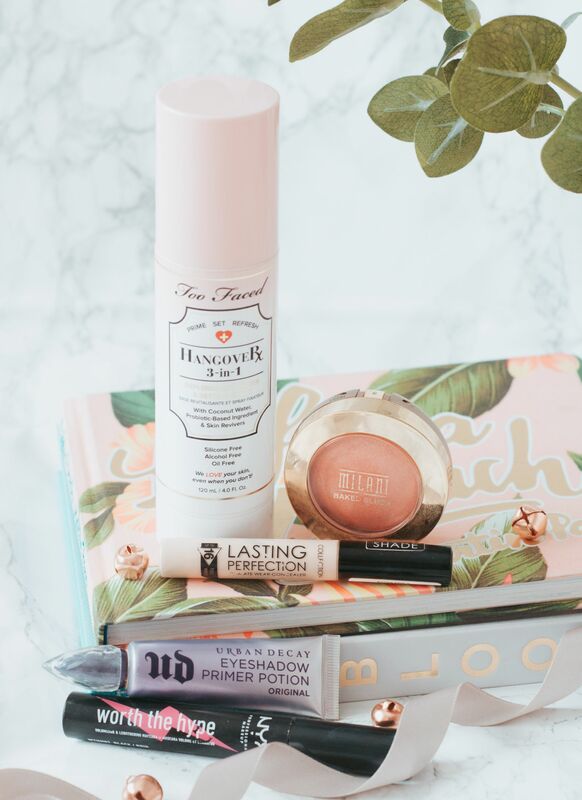 Even though I’ve had my fair share of no makeup days over the past few weeks, I thought I’d share some products I have been using that seem to be lasting in the heat! When the weathers like this, I don’t even like to go near foundation, so its straight to concealer. Despite not using it for some time (don’t ask me why), I’ve gone back to my trusty Collection Lasting Perfection Concealer. This seems to just sink into the skin perfectly, which means I don’t have to worry about it sitting on top and slipping off in the heat. To set that in place, I’ve been using my forever loved Vichy Dermablend Setting Powder, which does such a brilliant job at keeping everything on my face! Without fail I always reach for my Benefit Hoola Bronzer just to give my cheekbones a lil bit more warmth, as despite the hot weather, I’m still super pale. I’ve really been enjoying wearing blush recently and my Milani Baked Blush in Luminoso has been a go-to. It really brightens up the cheeks and its always nice to have a bit more colour on the face anyway. Finally, I love to pop a bit of highlight on and for that I’ve really been enjoying my MAC Soft & Gentle. A cult classic but its perfect for this time of year. Moving away from the face and onto the brows. I actually haven’t bothered with pomade on my brows because it just melts off (thanks to sweaty eyebrows, ha)! Instead, I’ve been using the L’Oreal Brow Artist Plumper to fill them out a lil bit and keep them in place too. Obviously I can’t miss out eyeshadow, but to keep it in place of course I’ve been using my trusty Urban Decay Eyeshadow Primer Potion because yano, this stuff is a God send. The palette I’ve been using pretty much daily, is the Makeup Revolution X Soph Eyeshadow Palette in Extra Spice. I’m well and truly obsessed with this and you can create so many looks with it, its unreal. And for only £10 you really can’t go wrong can you?! Finally, to finish the eyes I’ve been using the NYX Worth The Hype Mascara and its definitely one of the better drugstore mascaras I’ve used. Although its not waterproof, it stays put really well and doesn’t leave me with panda eyes, which is a big no from me so this is a winner! 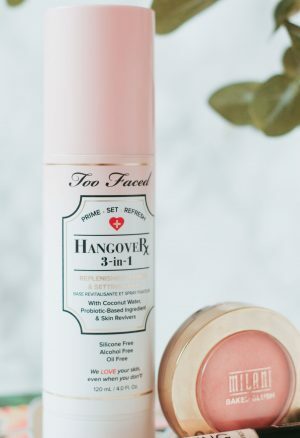 To finish everything off, I’ve been loving the Too Faced Hangover Setting Spray. Its really refreshing to spritz after finishing your makeup and I have found it helps to keep everything set for the day, even in this heat! Whats your summer makeup routine?